Explorer’s Guide Maritime Academy has been successfully turning boaters into Captains for the past twelve years. We teach a variety of maritime courses in classroom, online, and distance learning formats, from the USCG-approved captains license classes, to public safety and recreational boating classes. Explorer's Guide is dedicated to providing a sound learning experience for all our students. Learning is more than reading a book or listening to a lecture. It is being actively involved in the learning process. This can only be done when the instructors apply the discuss-demonstrate-do approach. Our instructors understand that students learn in different ways. To meet everyone’s needs we use auditory, visual, and kinesthetic activities. In other words, students listen, see, and do the activities to provide the best learning experience. Calls from former students are always welcomed. Capt. 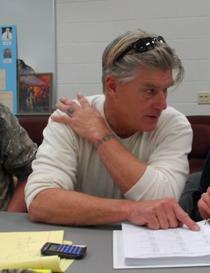 Gary Kulibert, Founder, Director, and Lead Instructor. 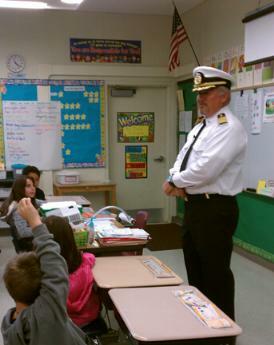 Captain Gary is the founder of Explorer’s Guide Maritime Academy and our lead instructor and course developer. He is one of the founding members of the Maritime Education Standards Council and is currently its acting Vice President. Gary holds a teaching license from the State of Wisconsin, and is a former sailing instructor with American Sailing Association and a trained scuba diver. He lives in Appleton, Wisconsin. He comes to us with extensive training, education, and experience with both state and federal agencies. His work involved developing training programs, providing assistance in conference planning, and was, and is, a featured speaker at national seminars. He was awarded a Bronze Metal by United States Environmental Protection Agency for his service in developing a CBT based-interactive training program. Brenda Kulibert, President, and Exam Management. Brenda comes to Explorer’s Guide Maritime Academy with an extensive background in management, marketing and health care fields. 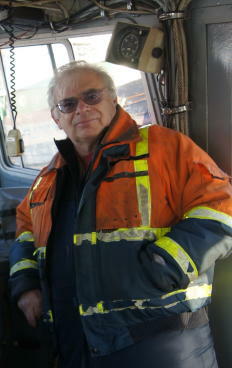 She and Captain Gary have been married for 39 years. Brenda is the "go to" person for student exams, proctored exam sites, and funding questions. If you are a student with questions about funding or exams, give Brenda a call to see what's involved. Brenda is also an RN and Registered Respiratory Therapist, in numerous health care venues. As such, she heads the medical training division for Explorer's Guide. For training questions in CPR and First Aid, give her a call at 920-733-5500. Captain Bruce holds a BS in Education and a BSBA in Marketing, a 200 Ton Domestic and 500 Ton International Masters Captains’ Licenses, as well as many endorsements. His teaching experience includes 18 years as a grade school teacher, a martial arts instructor, and former chief sailing instructor for the University of Wisconsin-Green Bay. He is proficient in Survival Craft, Marlinspike Seamanship, is certified as a scuba diver, and YMCA Life Guard. 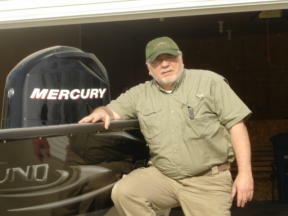 He is the owner-operator of Friendly Sailing Charter www.friendlycharters.com in Door County, Wisconsin. Capt. Bruce lives in Sturgeon Bay, Wisconsin. Captain Phil lives in Grass Valley, California and comes to Explorer’s Guide maintaining USCG licenses OUPV Near Coastal and Masters 50 Ton Near Coastal with Towing Endorsement. He is a retired Deputy Sheriff with Nevada County Sheriff’s Department, and worked eight years as Boating Safety Officer with the Sheriff’s department. Captain Phil teaches the Explorer’s Guide Maritime Training captain’s classes in California. Captain Keith holds an Operator of Uninspected Passenger Vessel License, and is an accomplished professional fishing guide with over 30 years of experience encompassing fishing instruction, guiding, and tournament fishing in Wisconsin. He is the owner and lead fishing guide for Learn to Fish Guide Service in Neenah, Wisconsin and teaches captain’s classes for Explorer’s Guide Maritime Training in the Midwest. Check out Captain Keith's website!